Naracoorte, South Australia, is around 3-4 hours from Adelaide, and best known for the World Heritage Listed, Naracoorte Caves. It is in the area known as the Limestone Coast. Its the sort of place you can stay for a night, and use as a resting location on the way to somewhere further afield. We have travelled there numerous times, and it was a handy stopover on the way to Melbourne from Adelaide on one of our visits (after a late start leaving Adelaide). We are not keen on driving at night on the country roads, so we always try to find a campsite before nightfall. Naracoorte has suited us on such occasions. In Naracoorte, we came across 2 camping opportunities, which we list below. 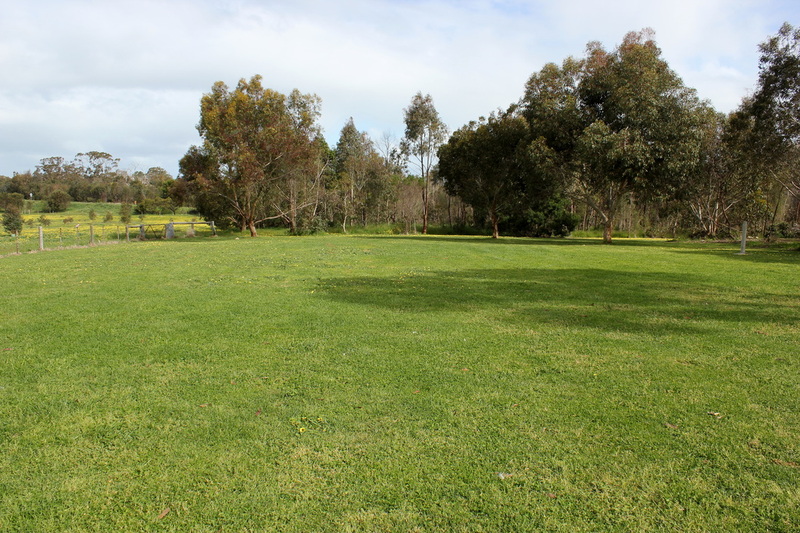 This park, is a one of the Big 4 Caravan Parks scattered throughout Australia. We chose this option because the weather was cold and windy, and the thought of a camp kitchen to eat in on this cold night, was too tempting to ignore. 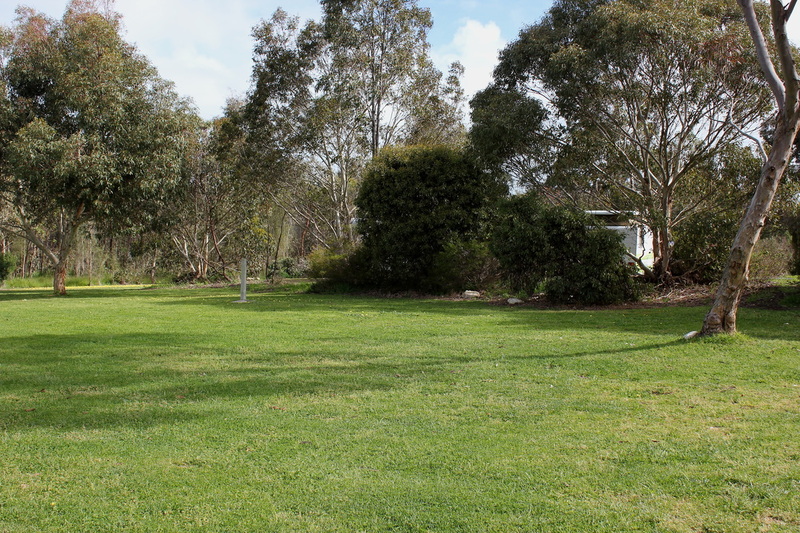 The Park has powered and unpowered sites, and cabin accommodation – all pretty much what you find at any caravan park. The staff we met were very friendly and very helpful. The powered/unpowered sites have no shade, and no privacy from each other. I think if you are a regular at caravan parks, this might be something you are used to, and not an issue. For those of you who camp more like we do - in National Parks/bush camping, it does take some adjusting to. Depending on where you are in the park, you might be overlooking a large sporting oval (separated by a small wire fence), or in the middle of the park, or by a road. There was an excellent modern camp kitchen, with 2 indoor BBQ’s, Pizza Oven, and microwave and 1 sink. A few electrical appliances, including only 1 hotplate that has 2 electric burners. There were no pots or pans at all provided, so imperative you bring every single kitchen item you own, otherwise your meals could be in jeopardy. We have been to camp kitchens that have a few pots or frypans, so this was quite a shock to find nothing. One fridge in there – make sure you label your site and date of departure. We placed something in the fridge at 9pm, and when we went to collect it at 10am next morning, the fridge had been cleared out – including our item! The toilet block looks like a recent upgrade, and was of a very high standard. Very clean, and very modern. Best we have seen in South Australia. Cabins – very ordinary – nothing modern or visually appealing about them. Am sure they are adequate but appear now to be cabins of a bygone 1970’s era. The Park offers a few activities but be warned – every single one costs extra money which is not mentioned on the website. The non powered go-karts ($10 per hour), the Tiny Train (a small train that goes around a track, suitable for very small children), Mini Golf, Games Room (with a non working TV and arcade games dating back to the first arcade games invented!! ). There was no swimming pool, but a public swimming lake is nearby and open at certain times of the year and we hear of recommendations for this lake in summer. This is a caravan park that you would stop by for a quick one night stay, not a holiday park. The town of Naracoorte is very well equipped and has a large range of shops in case you have forgotten something. But the main reason to stay here, is that the Naracoorte Caves are about 14km away, and therefore its a great base to see these beautiful caves. 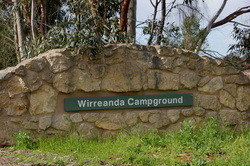 Very close to the Caves (walking distance) is the Wirreanda Campground. This is a small campground that has an area designated for caravans and camper trailers, and a separate area for tents only. Behind the trees that the the caravans back onto, is a large, grassed area for the tents. There was no-one in this section on our first visit. It comprises of no set camping areas, but plenty of trees, water, BBQ area, and a basic washing up facility – but all of that looks modern. It overlooks fields and was very tranquil. A big plus of this campground, is that back in the caravan section, there are toilets and showers. These are excellent and well maintained. There is also a laundry. This amenities block is near a homestead which can be hired by large groups, and have large rainwater tanks. With a lot of caravans there, and camper trailers set up as well, it was all a bit crowded in a very small area. The tent option was DEFINITELY the best and more quiet option. That area was pretty, but as mentioned previously, different times of the year gave us a different perspective. Lots of kangaroos early evening in both tent and caravan area, and they graze right throughout the night (with one chomping outside of our tent very loudly). When they startle, you can hear them bounding over the surrounding fences! I think its a one-night sort of camping ground. Use it as stop over whilst you visit the caves. Apart from the Caves, there is not a lot of other activities nearby, but its pleasant and got good facilities.